On our site you will be able to find a wide choice of natural color diamonds (color the original). All diamonds are presented on the website are certified by the American Gemological Laboratory GIA. High degree of rarity of diamonds. Very low weight, thanks to which color diamonds are easy to transport. Strength of color brilliants; any temperature conditions, humidity, blows, etc. will have no effect on the fancy diamonds during its transportation or storage. Establishment of worldwide accepted methods of assessment color diamonds and emergence of world famous gemological laboratories, such as GIA and EGL. Constant rise in prices over the past decades. Purchase of color diamonds is not only an investment, the color diamond is also magnificent ornament. Undoubtedly, fantasy color diamonds are the most valuable stones on the Earth, as determined based the price per carat. Despite the fact, for color diamonds classification is helping with determination of the price of a diamond, owing to the rarity, color diamonds have no fixed prices. For especially rare diamonds the price will be determined during sale by auction. Investments into color diamonds are long-term investments. Thirty years' experience at the Israeli Diamond exchange. 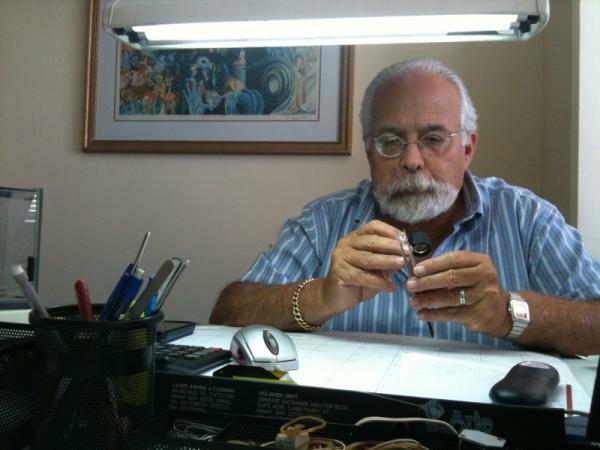 Maintenance of the professional gemologist. Purchase at the Diamond Exchange without intermediaries. High reliability and quality guarantee. Preliminary consultation on buying diamonds. 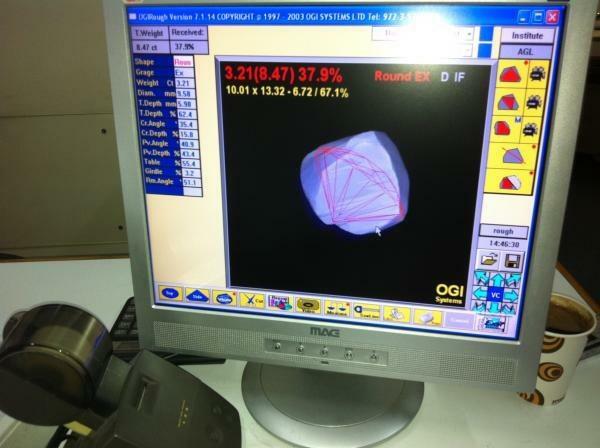 The most modern equipment and high Israeli technologies of a facet of diamonds. The best gemologists and gemcutters of diamonds. Israeli cut diamonds are appreciated in the world greatly. The Israeli Diamond Exchange - the leading exchange in the world. Whether a color diamond it is a natural stone with natural color or it is the improved diamond with color was artificially modified, it is possible to define? Such methods of definition exist, but it is possible to make it only by means of the special equipment which is available at Gemological Institute of America – GIA. It is impossible, examining the stone under the microscope to reveal modern types of an upclassing (coloring) of diamonds. Therefore the most reliable for the buyer a method it is to demand from the seller the certificate of GIA in which there is a line Origin. At a natural diamond will be specified "NATURAL", at the improved diamond will be specified "TREATED". The improved fancy diamond can be significantly cheaper than the natural stone with natural color. By making purchase on tens or hundreds of thousands dollars, don't worth the risk and get a color diamond without a certificate of GIA. Many diamonds except the main tone have an additional shade. In case, except dominating tone is present secondary, diamond’s color will be compound. For example, brown diamond with elements of red will be named a Reddish Brown. Color of a diamond is determined by a prevailing tone, for example, "grey". All other secondary colors will have the termination "-ish", for example, “purplish grey”. Thanks to such this form of the name it is possible to understand that primary color of a diamond its gray with manifestations of a purple shade. Sometimes it is impossible to define the main tone as in a diamond both colors were evenly distributed, in this case, both colors, for example, Brown Grey are specified. Natural diamonds of fancy colors are very expensive and inaccessible to the most of buyers. All these stones, without exception, surely must to be accompanied by the certificate issued by one of leading gemological laboratories GIA (Gemological Institute of America). The pink diamond was considered as the rarest of color diamonds for a long time. After the opening of the mine “Argayl” in Australia the situation changed, and now the pink diamond is a rare stone, but not such as, for example, a red diamond. Importantly to note, that color of both stones arises because of small deformations in a crystal lattice. In the nature, it is the share of 100 thousand diamonds only one stone of pink color. And certainly, pink diamonds with a weight of several carats after its cutting are much rarer. Among the fancy color diamonds are rather widespread are yellow diamonds. For transparent diamonds the weak yellow shade which reduces the stone's price is undesirable, for fancy diamonds the price of carat will increase depending on the intensity of yellow color. The color scale of "yellow" diamonds is wide enough, there are stones from "light yellow" and to bright orange shades, as "vivid yellow". Structure, and characteristics of black diamonds don't differ almost from transparent diamonds. However unlike colourless brilliants, the black diamond passes light just a little or doesn't pass light absolutely, due to a large number of inclusions in black (graphite and hematite). The black diamond reflects rays of light by its facets. So for cutting black diamond a lot of time and work is spent, which are necessary in order to receive a shining black diamond. At any formation stages of a diamond at emergence of atoms of pine forest in its crystal lattice, occurs blue color. Brightness of color and its saturation directly depend on amount of these atoms. Depending on brightness color and shade blue diamonds are divided into nine groups of intensity of color. The rarity of blue diamonds and their unusual beauty led to the fact that these stones are considered to be the privilege of the elite. Blue diamonds have glory of elite jewels. Company "Scapa Moshe" – a cutting, export and import of diamonds. We import the rough diamonds from all over the world and we are engaged in their cutting, using the most advanced and modern computer technology. This gives the chance to us to sell qualitative diamonds first-hand at the best prices. Our office is in the building of the Diamond Exchange, the 5th floor, st. Bettsalel 54, Ramat Gan, Israel. 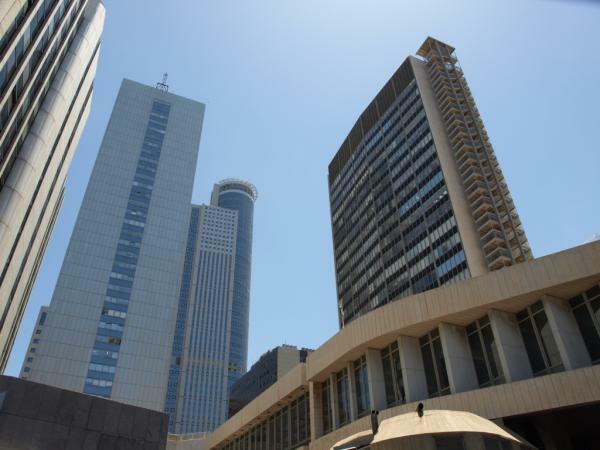 Our office is in the building of the Diamond Exchange, the 5th floor, st. Bettsalel 54, Ramat Gan, Israel. 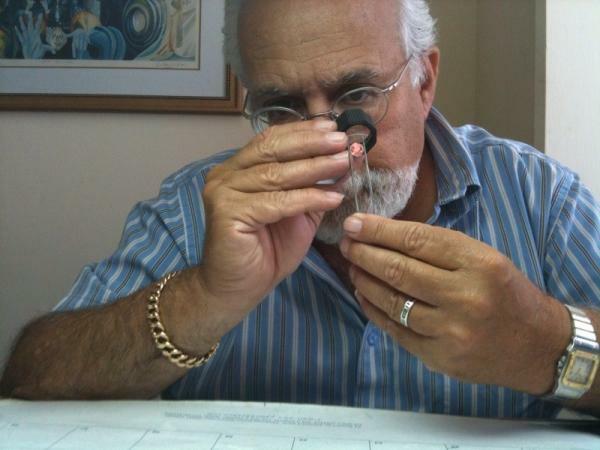 The owner of the company Skapa Moshe is the official member and the dealer of the Israeli Diamond Exchange for 28 years. 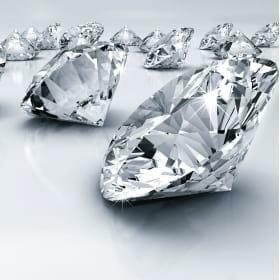 As the member of the Israeli Diamond Exchange Skapa Moshe has the international recognition and an official license on trade in diamonds worldwide. Very large yellow diamond drop-cut of 110.3 ct. was exposed on the auction in Geneva in November 2011 and was sold for $12.360.000.